Last week I used my Panasonic Lumix 30mm F/2.8 macro, this week I used the the Panasonic Lumix 14mm F/2.5 Ver 1 This lens the oldest lens in my micro four thirds system. Before getting this, I was uing FD lenses, which was ok and fun to shoot, but after seeing the capabilities of the Micro Four Thirds, I decided to get native lenses and this is the first one I bought. Why, because it’s cheap, and after reading some positive reviews, I went ahead and bought it. It is unbelievably small, I immediately attached it to my E-PL5 and wow it looks nice, it also looks good with the 46mm metal vented lenshood. The build quality on this Lumix 14mm F/2.5 pancake is not the best, but is not bad at all. It is tiny which will make your camera a bit pocketable depending on the body. It’s all made of plastic, but has a metal mount which for me is good enough. Mine has no wable, the focus ring is fine. I have been using it for five years now and it still works great. I have had no problems with it whatsoever. I have accidentally drop it on several times, but still works. Before I forget, there is no weather sealing on this lens, but I have use it a few times in light rain. Overall the build quaility of this lens is just right for the price. This little lens is no slouch, maybe not as fast as the Olympus 17mm F/1.8, but still fast enough to get most photographic job done. With regards to sharpness, it is good enough for me. Wide open at F/2.5, it’s sharp at the center step down to F/2.8 and it improves a lot throughout the image with a bit softness on the corners. At 14mm it’s equivalent to 28mm which is a good wide focal lengrh which is perfect for environmental shot, street photography, landscape and much much more. Overall, you will be happy with this lens. 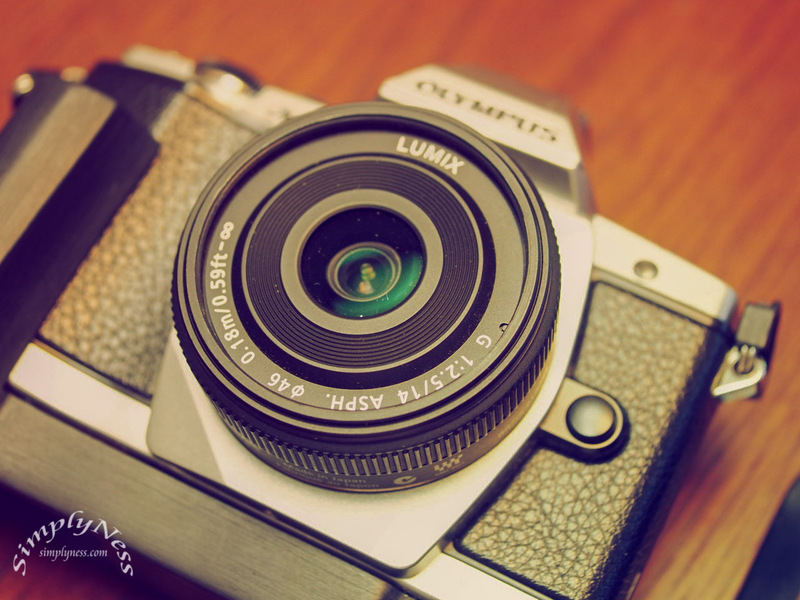 The Lumix 14mm F/2.5 lens is not a perfect lens but certainly not a bad one. If you are looking for a prime wide angle lens for your micro four thirds system, this is it. This is a wide angle lens you can rely on. This entry was posted in Photography Gear Reviews and tagged in 2017 Daily, gear friday, gear review, Lens, micro four thirds, micro43 lenses, panasonic, panasonic 14mm, Project 365.